Dominic Mary recently started the blog Libera Me which is well worth putting on your blogroll, aggregator, or reader. The author is a convert who says in his profile:The day I was received, a friend gave me a card which said 'Welcome Home' ! Never was a truer word spoken. 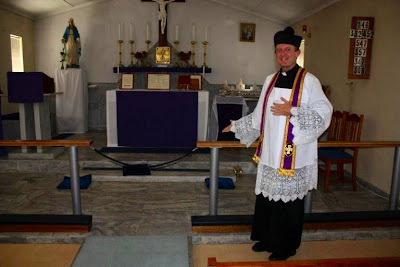 Fr Gregory Charnock of St Bartholomew Parish, Lambert's Bay, South Africa, writes to tell of a Christmas present for his Parish Church. Dave and Leslie Bashkier, with their son Paul, kindly donated, and travelled up from Cape Town specially (3 hours) on 21 December to install new permanent altar rails, to replace the temporary ones that had been in use since Summorum Pontificum. The altar rails were blessed the following day with some new vestments Father was given for the Christmas season. The Roman Forum, whose Director is Dr John Rao, is a renowned Catholic historian. I have listened with profit to several of his lectures while driving round the M25 to Wonersh or Parkminster. The website informs us that[The Roman Forum] was founded in 1968 in the wake of Humanae vitae by the great philosopher, Professor Dietrich von Hildebrand (1889-1977), whom Pope Pius XII called “the twentieth century Doctor of the Church”.It is dedicated to a systematic teaching of the True, the Good and the Beautiful and promotes the revival of Christian culture, defending "the one force that can pull all of the aspects of nature and the supernatural together", namely Catholicism. 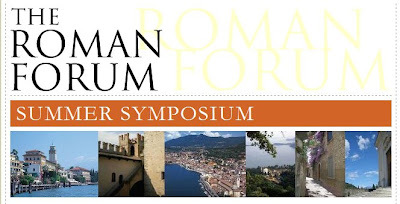 This July The Roman Forum is holding a Symposium in Italy (on the Gardone Riviera) on the subject "The Politics of Faith and Reason? Or the Triumph of the Will?". HLI, the Remnant, Inside the Vatican and the FSSP are all represented. 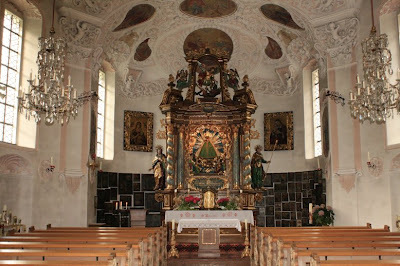 There is sung Mass every day in the usus antiquior. One wag suggested that it would be ideal for "High Mass". Christmas Day itself I spent with my sister Mary's family - always a great day. After lunch I did actually watch television for a short while. It was an episode of "Shrek" in which the homonymous protagonist has lots of people round to his house, throws them all out, repents, searches for the "true meaning of Christmas", finds it is "everybody coming together", and then invites everybody back again. It was a truly remarkable feat in that as far as I could tell (I was not awake for the whole time, you understand) the entire programme managed to skirt around Christmas without a single reference to the nativity of Jesus Christ. Here's a nugget I noted before Christmas but did not get round to posting. I think it is worth bringing to your attention. 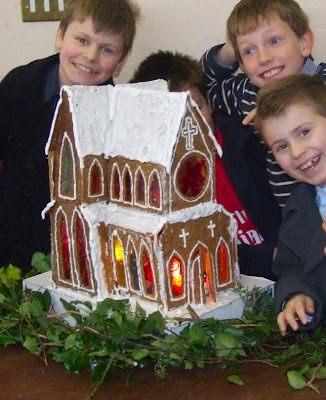 You will remember back in November that the European Court of Human Rights (ECHR) upheld a complaint by Soile Lautsi, a Finnish woman with Italian citizenship, that her children had to attend a state school that displayed a crucifix in each classroom. She got an order for 5000 euro compensation to be paid by the Italian Government. It seems that this has concentrated the minds of the Italian Constitutional Court which has issued Sentenza N.311 which states that where rulings by the European Court of Human Rights (ECHR) conflict with provisions of the Italian Constitution, such decrees “lack legitimacy”. I wish all of you, dear readers, a happy and blessed Christmas. 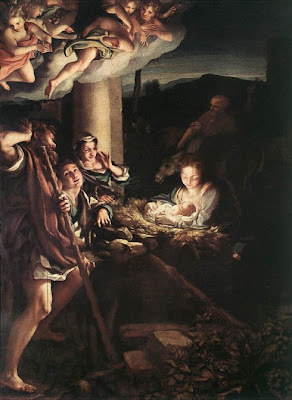 May the infant Jesus bless you and your families and loved ones. Getting through the three Masses has been something of a battle since I have a heavy cold, but through the fog of snuffles, spluttering, and coughing, I have enjoyed the beautiful texts that the Church proposes for our meditation in the Sacred Liturgy, and our magnificent repertoire of English Christmas carols. We have been blessed with some wonderful music from the parish choir at Midnight Mass, and a scratch choir for the 9am Mass which harmonised the carols and sang Stille Nacht in German. I'm now off to visit my sister Mary and her family in Croydon for lunch, good conversation, exchanges of gifts, and some uproarious parlour games. 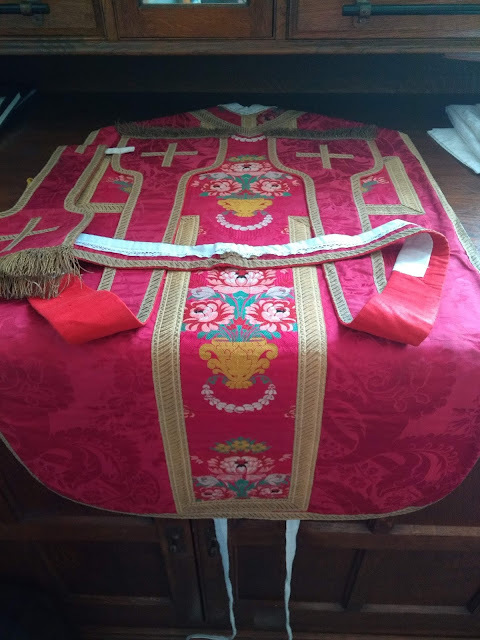 Recently there was an article at Zenit by Fr Mauro Gagliardi, a consultor of the Office for the Liturgical Celebrations of the Supreme Pontiff, called Liturgical Vestments and the Vesting Prayers. The article is a fine exposition of the vesting prayers that may be said by the priest before Mass. 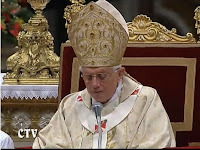 As many bloggers picked up, Fr Gagliardi affirmed that although the maniple fell into disuse, it was never abrogated. 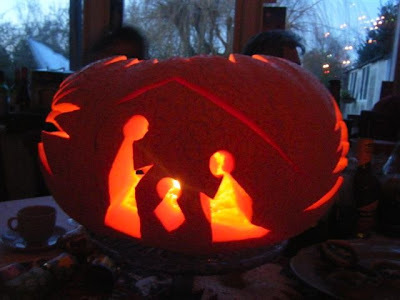 H/T to Patrick Madrid - as he says, there's one in every neighbourhood. Holy Mass will offered by Fr Nicholas Schofield for the repose of the souls of David and Dora Foster at 1245 on Tuesday 29th December in the Little Oratory. David Foster was the founder of the International Summer School for Young Catholics (now renamed Christ the King Summer School). The 29th December is the first anniversary of his death. The Mass of the feast of St Thomas à Becket will be said in the Extraordinary Form. The CBCEW website has a short biography and an interview with Bishop-Elect Davies. 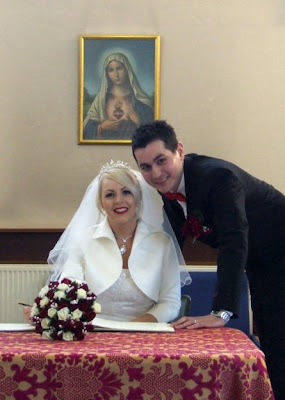 Congratulations to Paul Fox and Katie Stone who were married today at Our Lady of the Rosary. Although it snowed again yesterday afternoon, and the ground today was not best suited to the train of a wedding dress, Katie's bridesmaid, Alice managed very well. Fortunately, the sun was out and so the light was good for photographs. The professional photographer may send me one or two of his shots in return for a link here. 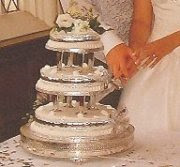 I did like the gleaming white Roller - luvverly motor! 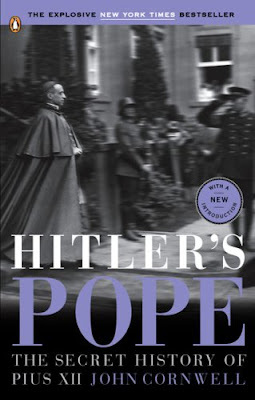 One website offering the e-book of Cornwell's "Hitler's Pope" carries this picture:The English edition of the book has this rather clearer version which demonstrates how the above one has been altered. At least this one shows that the chap wearing the peaked cap is obviously the driver; nevertheless, the juxtaposition of the title is says it all. Originally, the picture was referred to on the dust-jacket as being from 1939, "Cardinal Pacelli, the future Pope Pius XII, leaving the presidential palace in Berlin." All pretty damning, no? Cardinal Pacelli, just before becoming Pope Pius XII, consorts with the Nazis and is saluted by them after visiting Hitler ... or something? 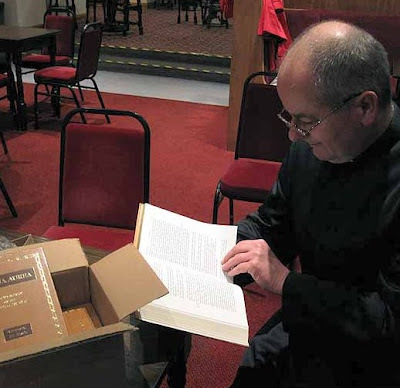 Baronius Press have published a newly typeset edition in four volumes of St Thomas Aquinas' Catena Aurea, as translated into English by the Venerable John Henry Newman. I was very excited to receive a copy of this recently. "Catena Aurea" means "golden chain" and the work consists of a running commentary on the four gospels, taken from the Fathers of the Church. It thus provides a sure guide to the spiritual sense of the gospels and the apostolic tradition in relation to their interpretation. The intrinsic quality of the work is remarkable: the theological genius of St Thomas Aquinas is applied to the selection of quotations from the Fathers, and summaries of their teaching. He was commissioned to compile the commentary by Pope Urban IV. There could scarcely be a better translator than Newman, a highly competent classicist in his own right, and a master of the use of the English language. In recent days, I have skimmed over posts on other blogs about the petition "We've Waited Long Enough" - for the new ICEL translation, that is. I mistakenly assumed that it was the same as the one I mentioned a few weeks ago. It's not, it is a different one. 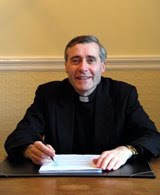 Here is the wording:We believe that the newly approved English translation of the 2002 Missale Romanum needs to be implemented as soon as possible. We believe that the Church in English-speaking nations has waited far too long for an accurate, faithful translation of the original Latin. We believe that the current translation currently in use in English-speaking nations is overdue to be replaced, as it was developed using the method of dynamic translation, a method rejected by the Vatican in the document Liturgiam Authenticam. We stand united with the English-speaking bishops' conferences in their approval of the new translation. Last July, as you may remember, Christians in the Indian state of Orissa were subjected to severe persecution. A 22 year old nun was burnt to death, an orphanage in Khuntpali village was burnt down by a mob, another nun was gang raped in Kandhamal, mobs attacked churches, torched vehicles, and destroyed the houses of Christians. Fr Thomas Chellen, director of the pastoral centre that was destroyed with a bomb, had a narrow escape after a Hindu mob nearly set him on fire. All together, more than 500 Christians were murdered, and thousands of others were injured. Yesterday over lunch, Fr Briggs and I rejoiced at seeing the news of the decrees of the Congregation of the Causes of Saints. 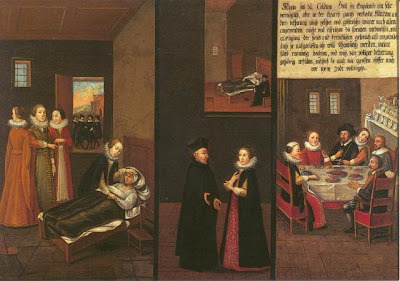 Pope Pius XII and Pope John Paul II have had their heroic virtues confirmed, as has Mary Ward, founder of the Institute of Sisters of the Blessed Virgin Mary. Fr George Popiełuszko has had his martyrdom "propter odium fidei" confirmed, and a miracle has been confirmed as attributed to the Blessed Mary McKillop. 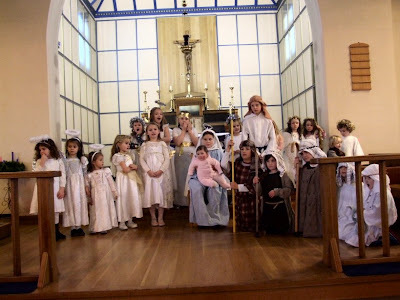 Our Crib Service today was a heartwarming occasion with little shepherds, angels and kings taking part in a tableau to celebrate the birth of our Saviour Jesus Christ. 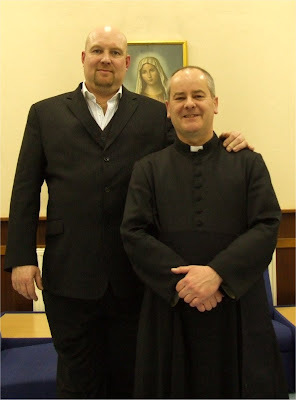 John Pridmore is visiting England again in the New Year. He will be speaking at Westminster Cathedral Hall on 6 January at 7.30pm. John spoke at my parish last January: his witness to the Catholic faith was compelling (see Stirring stories for a packed Church). People of all ages will find his presentation of great interest but I do recommend it especially for boys and young men. If you manage to cajole one such to go along with you, I promise you that he will not be quite so lippy on the way home. Below are Amazon links to his two books. "From Gangland to Promised Land" would be suitable for any would-be hardnut who thinks that religion is rubbish. "The Gangster's Guide to God" is for more suitable for people who have already discovered the faith. 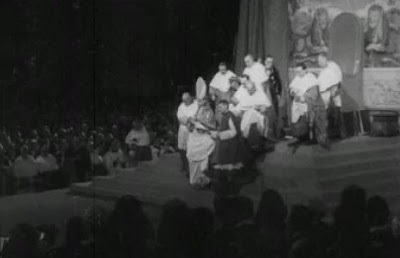 Thanks to Shawn Tribe for rooting out some fascinating Footage from British Pathe featuring various ceremonies from the time of Pope Pius XII and Blessed Pope John XXIII. There has been quite a development in papal ceremonies in response to the all-seeing eye of the camera; some of the scenes in these clips are quite chaotic although the MC seems to rule with a rod of iron. On the clips that have commentary, you will notice that the tone is very respectful. On a more trivial note, the vintage posh English accent is amusing with its clipped vowels. MmmmKay - as they say in some parts. I have just submitted to a nag and joined Google Wave. I have looked at some of the stuff about "Working with Waves" and am wondering how it is going to help. This is not meant to be a skeptical comment since Google have proved to be smart in developing tools that are indeed helpful: Google Mail was a breath of fresh air, for example. So if you have used Google Wave for anything, feel free to drop in a comment. I am also seriously looking at FlockNote which provides parishes with a way to organise feeds to email, Facebook, or SMS. That attracts me because I have found that quite a number of people use SMS (mobile phone text messages) much more readily than email and it would be quite cool to allow people to choose how to receive feeds about various events. Again, if anyone is using FlockNote in their parish or organisation, I would be glad to hear how it's going. 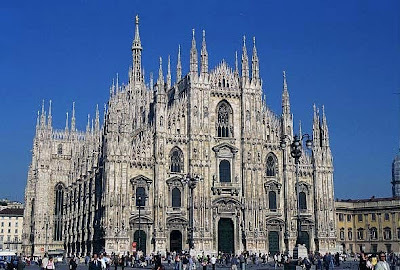 In my post the other day on Blackfen minor basilica news, I expressed a preference for a Baroque basilica if my benefactor were to win the lottery. Today a kind commenter has sent a couple of sketches for possible interiors for the Church. I especially like Lennon's last line.The icy grip of the dictatorship of relativism has tightened since those days. It would be more difficult for a pop celebrity to express such opinions today, methinks. The Vatican website carries the English text of the Holy Father's message for the World Day of Peace on 1 January 2010. 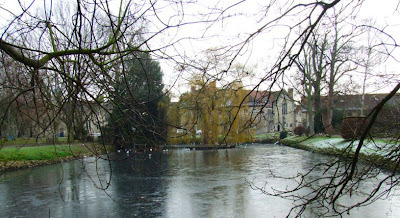 The temperature has dropped in this part of the world over the past couple of days and the pond at Aylesford had chunks of ice floating on the surface today. Aylesford, the Carmelite Priory confiscated by King Henry VIII and re-acquired by the Carmelites in 1949, was the home of St Simon Stock who received the vision of Our Lady, granting him the brown scapular which is worn, in miniature form, by Catholics all over the world. I always love to visit the Priory which is a mixture of ancient and modern buildings, the home of a community living and working in the service of the gospel. A forty minute drive in the coach took us there from Blackfen today for a "Christmas Lunch" organised by the Union of Catholic Mothers. I know it is still Advent but these occasions are a good way for people to get together, spend a day out safely, and enjoy a good lunch in good company. I'll admit that I did doze a little on the coach on the way back but I think I was not the only one. The other day I mentioned that one of my commenters was prepared to fund the construction of a minor basilica in Blackfen if he were to win the National Lottery. My agent has replied encouragingly as follows:Dear Fr Finigan. Reference the National Lottery, we're on our way. I had three numbers come up, last Saturday, and won £10. Therefore, please see, herewith, initial pencil sketch of possible new Blackfen Church. 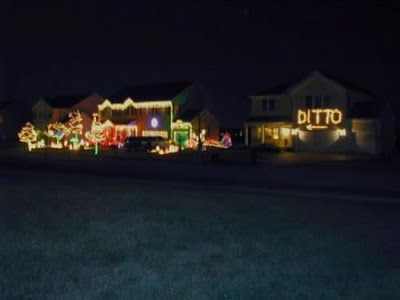 If approved, you might have to tell the neighbours. And move the bus-stop!!! " 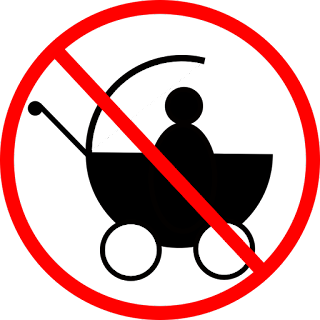 If you want to stop the pesky babies, you can use condoms, the pill or whatever and hope that they work. 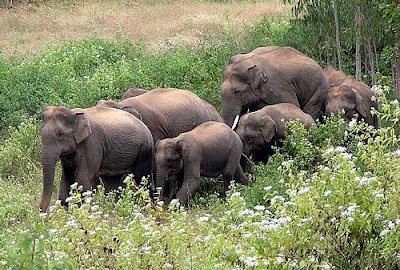 If you want to stop other people from having babies (especially poor people in other parts of the world) you can fund condoms for them to offset your carbon footprint and feel really virtuous. See Pop Offsets. A certain commenter on this blog has promised that if he wins the National Lottery, he will fund the construction of a new church in Blackfen for which I will attempt to acquire the status of a minor basilica. Two changes were announced today in the Code of Canon law via an Apostolic Letter Motu Proprio Data, "Omnium in Mentem." (OIM) The first change concerns the nature of the diaconate. 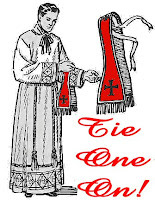 OIM clarifies that deacons do not receive the faculty of acting "in the person of Christ the Head" but the "power of serving the people of God in the service of the liturgy, the word and charity." This change has some important theological implications for the sacrament of Holy Order but that is perhaps for another day. Pastorally, the greater impact will be felt from the change to the law concerning marriage. You can read more on the "In the Light of the Law" blog of Ed Peters. Anna Arco of the Catholic Herald also has a good article with an illustrative case: What the new Motu Proprio really means. 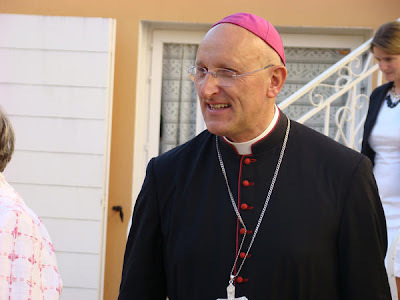 Bishop Dominique Rey of the Diocese of Fréjus-Toulon is a remarkable man. Before entering the seminary himself, he obtained a doctorate in economics and worked at the French Ministry of Finance. As a priest in the diocese of Paris, he also worked with the Emmanuel Community. From 1986-1988, he was superior of the chaplains at Paray-le-Monial, then exercised a post of pastoral responsibility for the seminarians and priests of the Emmanuel Community. He was a parish priest in Paris for five years before being appointed to Fréjus-Toulon in 2000. Pope John Paul II's promotion of the "new evangelisation" has always been a priority for him, something that is reflected in the fact that his diocese celebrates on its website the presence of 27 new communities in the diocese, such as the Community of St John, the Franciscans of the Immaculate, Shalom, and Points-Coeur. 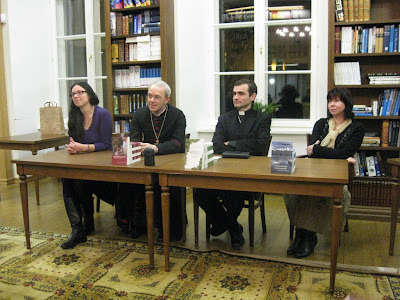 There was a presentation of the Estonian translation of Dominus Est, in the presence of Bishop Philippe Jourdan, the Apostolic Administrator of Estonia. 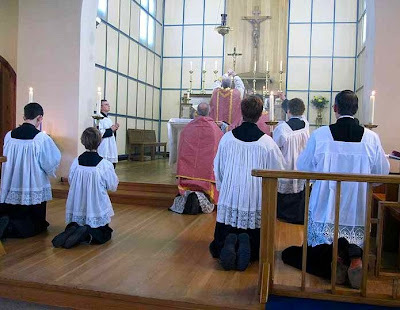 In the book, Bishop Schneider offers a spiritual, historical and theological defence of the traditional practice of receiving Holy Communion kneeling, and on the tongue. Bishop Schneider also celebrated a Missa Cantata in the Cathedral of St Peter and St Paul in Talinn. I had the privilege of celebrating Mass there in October with the wonderful choir singing the chant with a grave Eastern interpretation that must surely have been familiar to Bishop Schneider. 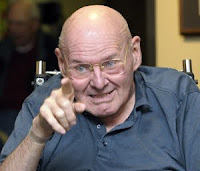 Many old Romans studied Latin with Fr Reginald Foster - those who didn't, missed out. A remarkable teacher, he always inspired his students with enthusiasm and a lifelong affection for him and for Latin. I was very pleased to read news of him in the Milwaukee Catholic Herald which tells of his stay at Clement Manor, Greenfield, where he is receiving physical and occupational therapy after a variety of medical problems. He has made a big impact on the medical staff - nobody who knows him will be surprised at that.